British banking giant HSBC is being sued by the families of four Americans  killed by Mexican drug cartels for allowing the gangs to launder billions of dollars which allegedly lead to the deaths of their family members. The lawsuit alleges that anti-money laundering processes at Mexican branches of HSBC were non-existent, allowing individuals to launder significant sums of money and the gang’s prosperity contributed to the deaths. HSBC has previously been in hot water over its lack of anti-money laundering controls, and this case stems from a previous one in 2012  in which HSBC was forced to pay US$1.9 billion to US authorities for failing to implement anti-money laundering regulations. If you’re interested in an assessment of how the US’ Financial Crimes Enforcement Network  is modernising its anti-money laundering regulations, check out this recent report  from PwC’s Financial Crimes Unit. The New South Wales Police last week demonstrated how law enforcement regularly goes above and beyond for the community. The NSW Police, in conjunction with Make-A-Wish Australia, made the dreams come true of Sydneysider Domenic Pace, who is suffering from a life-threatening illness, by transforming him into ‘Iron Boy’ for a day . He was flown by helicopter to the Operations Centre at Police Headquarters, Parramatta, to assist senior police in an important rescue mission . Facebook’s European branch is endorsing ‘counter speech’  to combat the presence of online extremism and hate speech on its platform . Facebook Chief Operating Officer Sheryl Sandberg supported the idea of ‘like attacks’  during a panel at the recent World Economic Forum in Davos as a means of countering misuse of the social media platform. Last month, Facebook also launched its new Online Civil Courage Initiative , which calls on Facebook users to ‘share their story or idea supporting counter speech, with the goal of combatting online extremism and hate speech’. The initiative has pledged US $1.09 million to support non-governmental organisations in their efforts to counter xenophobic posts and violent extremist rhetoric. Read more here . In a speech at the Brookings Institution  on February 16, US Deputy Secretary of State Antony Blinken gave an overview of the Obama administration’s current policy on counterterrorism. Blinken stated that the US State Department will adopt new frameworks for countering terrorism  through a renewed focus on collaboration with tech firms and engagement with civilian partners. He also announced a departmental name change, with the Bureau of Counterterrorism set to become the Bureau of Counterterrorism and Countering Violent Extremism. Listen to his speech here . 720 litres of liquid methamphetamine hidden in gel bras and storage units filled with craft supplies imported from Hong Kong was captured by the AFP  on 15 February. The work of the AFP and Australian Border Force’s Joint Organised Crime Group operation OVCHARKA , the seizure is one of the largest in Australian history, with Federal Justice Minister Michael Keenan claiming the haul to have a street value of $1.26 billion . The makers of Back to the Future certainly didn’t prophesise that hoverboards would develop into a burgeoning counterfeit market. 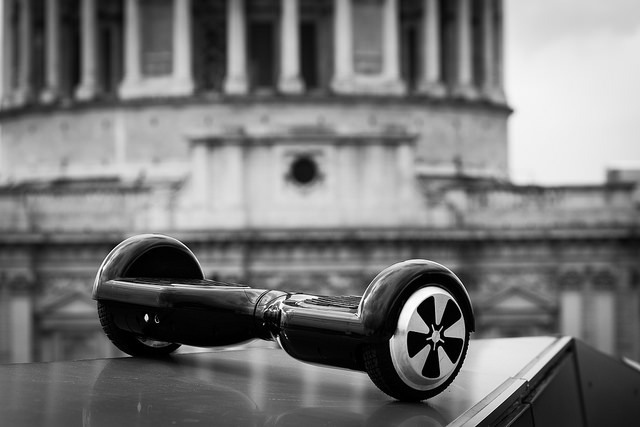 However, over the past month, US Customs and Border Protection seized as many as 16,000 counterfeit hoverboards in Chicago  and 2,400 more at the Charleston port . Confiscated for violating trademark protections and for their potential health risks , the most recent capture in Chicago would have had a retail value of US$1.6 million . Multinational insurance company Aviva has joined the British Red Cross’ Disaster Relief Alliance  in a new partnership aimed  at helping communities prepare for and respond to disasters globally. Aviva will help fund investment in preparedness, response, recovery and innovation over three years, and share its risk management knowledge with the charity. In the event of large-scale emergencies, Aviva employees will be encouraged to donate funds, with Aviva matching those donations. Foreign Affairs released a new essay  on 15 February highlighting the issue of aerosol dimming in the fight against climate change. The essay states that certain activities—such as burning coal for power, diesel for transport and wood for cooking—reduce the solar energy that reaches the earth’s surface, and in turn decrease evaporation and slow the water cycle. The essay outlines ways of reducing aerosol pollution, including cleaner electric power generation, cleaner fuels and combustion technology, and household access to efficient cook stoves and solar lanterns in developing countries. Ashleigh Sharp, Annaliese FitzGerald, Lachlan Wilson and Dione Hodgson are research interns at ASPI. Image courtesy of Flickr user Ben Larcey.